It’s kind of embarrassing but this is only the second full-length I’ve heard from the long-standing eclectic act Controlled Bleeding. Previously I had been exposed to Shanked and Slithering on Hospital Productions which was balls-to-the-wall harsh noise. Of course this is something completely different, but in a great way. In Blind Embrace is a interesting mix of different styles, there are elements of neo-classical which are strongest in the opening track Tormentor’s Song reminding me of Arcana, Sophia, and Puissance. Then there is the “band” element here which throws a slow, kind of psychedelic rock into the mix making nods to acts like Grails, Swans and Ghost, which manifests itself in the excellent and dark track Red Hands Waiting. Finally there are new-age synth elements like that Tangerine Dream and Emeralds which are very prevalent in the epic 24 minute Hymn From Shadows. The rest of the tracks here merge these three styles in new and interesting ways and the result is an unpredictable sound spanning moments of gothic orchestral passages, slow brooding psychedelic elements, and experimental/industrial leanings leaking in here and there. 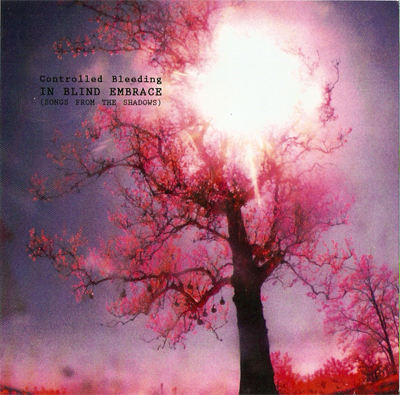 In Blind Embrace is the merging of these styles into an epic and excellent album that is easily heard as a mature effort from this long standing act. Very enjoyable, I would most recommend this to fans of more gothic styled orchestral acts like Arcana, Sanctum, and Dargaard or Burzum’s more keyboard styled music.